Oprah – Caudill Pictures & Entertainment, Inc. 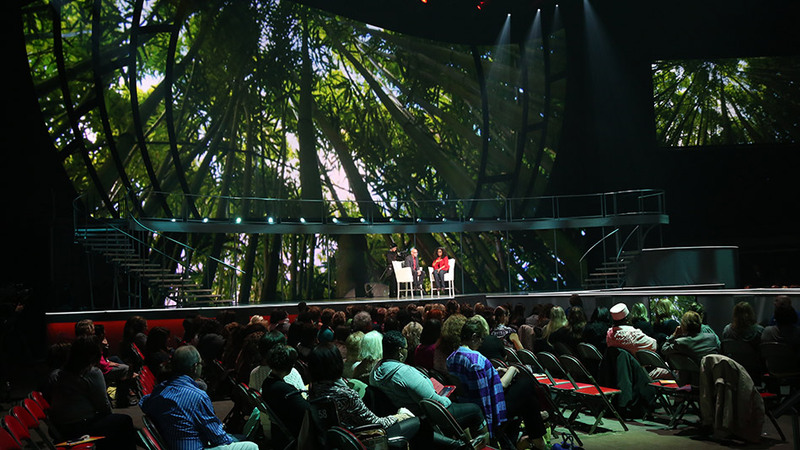 Outstanding job done on the Oprah tour… This was a really great team and I am sorry that we only had the opportunity to produce eight shows together. When Oprah calls, you listen. And call she did in the summer of 2014. Oprah Winfrey—the television legend, and spiritual guru admired by millions—had recently decided to embark on a new venture. The idea: an “out of the studio” experience called the “Life You Want Weekend” tour. 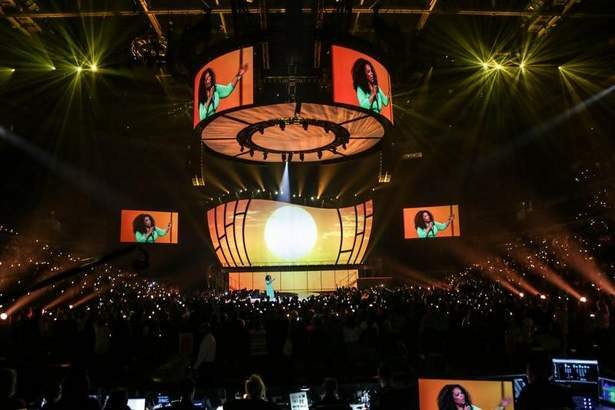 It was a concept that would bring Oprah to eight U.S. cities from Atlanta to San Jose over a four-month span. These splendid trappings notwithstanding, the weekend’s arena-based speaking events—highlighted by a two-hour Oprah-logue on Friday nights—were the weekends’ biggest draw. And, like everything Oprah, they had to be spectacular. 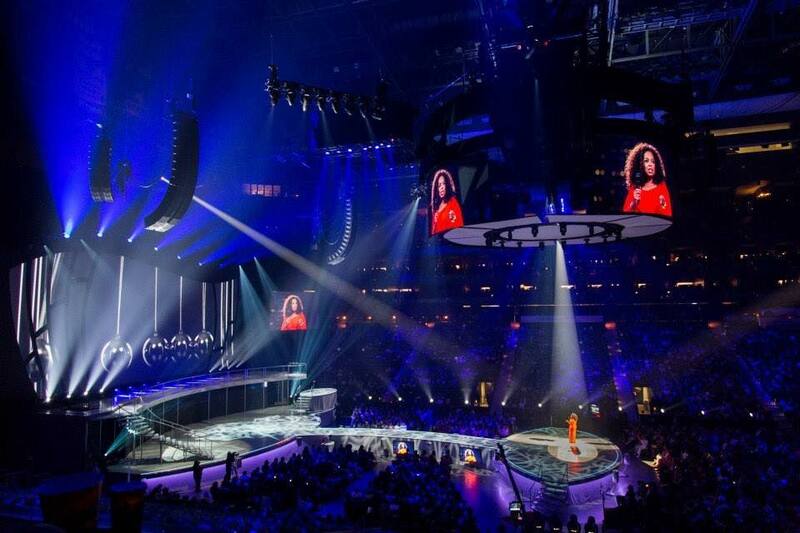 Normally, that would be a run-of-the-mill requirement for the media, sound, and lighting veterans on the Go Live Productions team that was orchestrating the tour for Oprah, and for the Video Equipment Rentals (VER) crew that was managing the tour’s video equipment and related assets. But in this case, there was an overriding challenge. 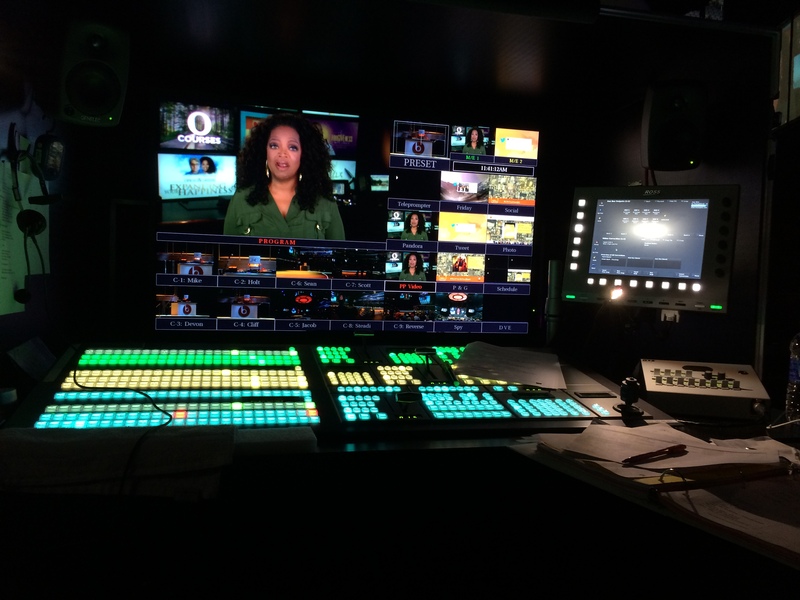 The Oprah team’s production experts had spent most of their careers operating in television-studio environments, where they were used to having the bulk of the A/V, sound, and lighting gear in place when a show’s production began—and to be able to quickly solve any problems that arose with a finger-snap or a phone call. Yet they were much less accustomed to producing road tours—especially ones with the rigor and complexity of the Oprah tour—a tour that required greatly expanded crews, equipment bays 4 to 5 times larger than their in-studio counterparts, and logistically nightmarish setups in a different city and different venue every week. As one executive described it, Oprah’s managers wanted to create “a television studio on wheels”—one that could be assembled and taken down essentially on the fly. 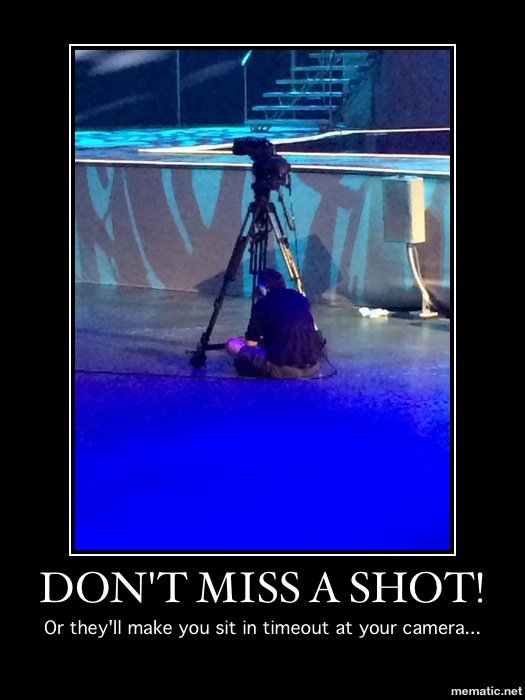 To meet this exacting challenge, VER tapped Ryan Caudill of Caudill Pictures & Entertainment, Inc. as the tour’s Lead Video Engineer. From VER’s perspective, Caudill brought to the tour two very important qualifications. For one, Caudill had spent more than a decade managing video operations for complex road tours much like this one. And for another, he had a reputation for delivering on the no-compromises perfection and instantaneous response that the Oprah team expected. These were qualities, Caudill soon found out, that he would have to draw upon nearly every minute of the lightning-paced four-month engagement. Ryan Caudill always had a plan for what to do. He was able to fix every problem, and was able to take care of every issue that came up. Such was the situation that awaited Caudill when he journeyed to Boston in July 2014, barely a month before the “Life You Want Weekend” tour’s scheduled August bow. Caudill promptly encountered the first of many production hurdles confronting the road-bound tour. Although he had overseen preparations for scores of elaborate road shows in the past, this was the first show he had worked on that was being prepped in multiple cities—with each assembly team unable to see what the other teams were building. 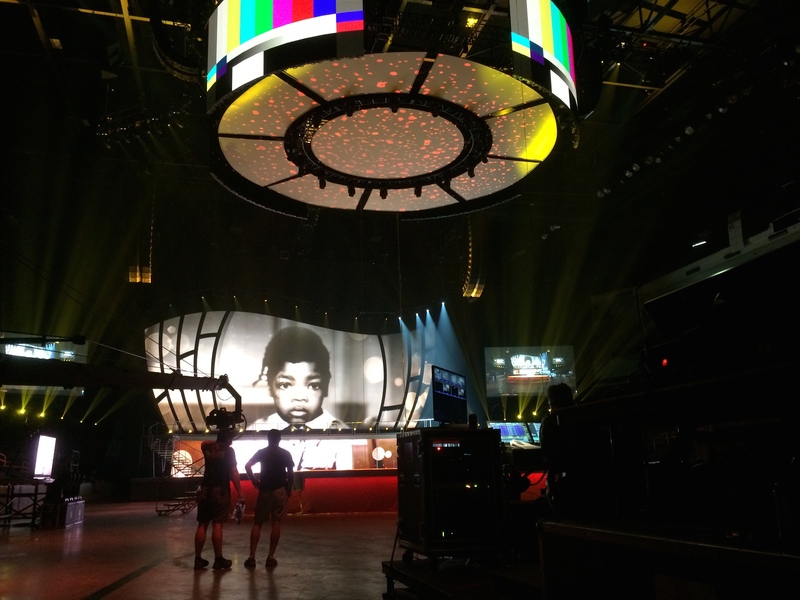 Even more challenging, in order to ensure the show’s cutting-edge ambiance, tour executives had ordered large quantities of new gear—a commonplace practice in TV-studio production, but one typically avoided in the touring world, where portability and predictability are more dominant concerns. The ongoing gear arrivals meant that, despite there being only weeks until launch, few of the lighting, sound, or A/V systems had been built yet. Nor had the cases in which the gear would need to travel between cities been constructed. Facing these imposing demands, Caudill began working furiously—virtually around the clock—to assemble what he could and spec out the rest. 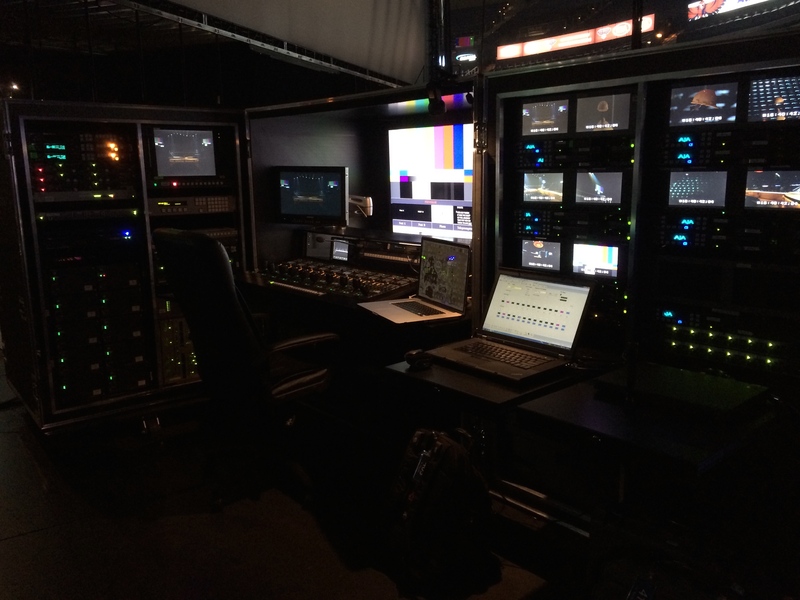 Amazingly, given the state of affairs just a few weeks before, most of the equipment was ready to go when all of the teams met together for the first time in Duluth, Ga., for the final pre-show equipment inventory. But even then, more revelations awaited. Caudill soon discovered that—because all of the teams had been working in separate locations—some vital supplies, like cabling and critical electrical and power equipment, had not arrived yet. Once again, Caudill moved quickly to assist VER in identifying the needed equipment—just in time for the final pre-show run-throughs. And then came the logistical complications. The time projected for the complex show’s setup, set strikes. and load-outs—at two to three days each—were far too long for a show that had to move quickly from one city to the next. Caudill hurriedly improvised numerous setup and takedown efficiencies, paring time requirements down to as little as a few hours, and then trained crews onsite in implementing these procedures. Yet the logistical challenges didn’t end there. Equipment case materials were arriving even as setup began, forcing Caudill to personally build the travel cases onsite as well. I was literally blown away by the experience. Once the first Oprah “Life You Want Weekend” event went live, this host of challenges faded into obscurity, thanks to careful, last-minute fixes and a team that learned and worked together when it mattered most. 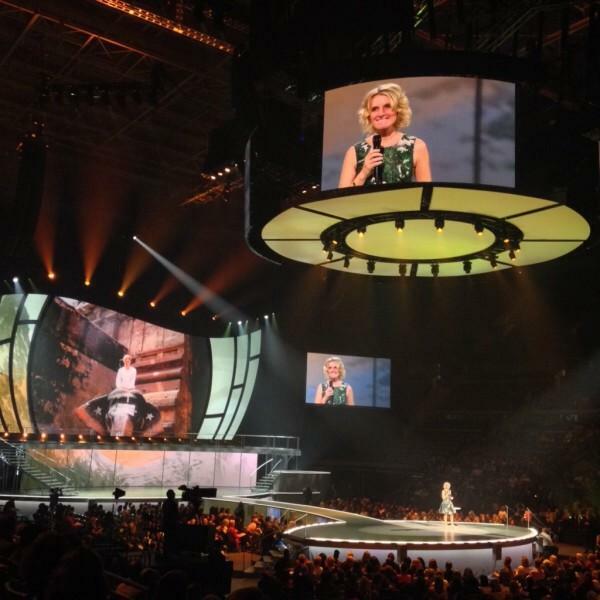 Ultimately, all of the systems performed just as they were supposed to, and Caudill was able to respond almost immediately to all of the show producers’ technical and logistical requests as the tour went on. Even the ongoing show changes were implemented without missing a beat. And the results—as required—were little short of spectacular. Oprah could be Oprah, unhindered by technical and logistical complications that seemed inevitable only days before. She looked exactly as she wanted to on screen, flawlessly projecting the image of wisdom and authority that she had so long cultivated. The effect on the audience was as powerful as had been hoped. “I was literally blown away by the experience,” one attendee told The New York Times. 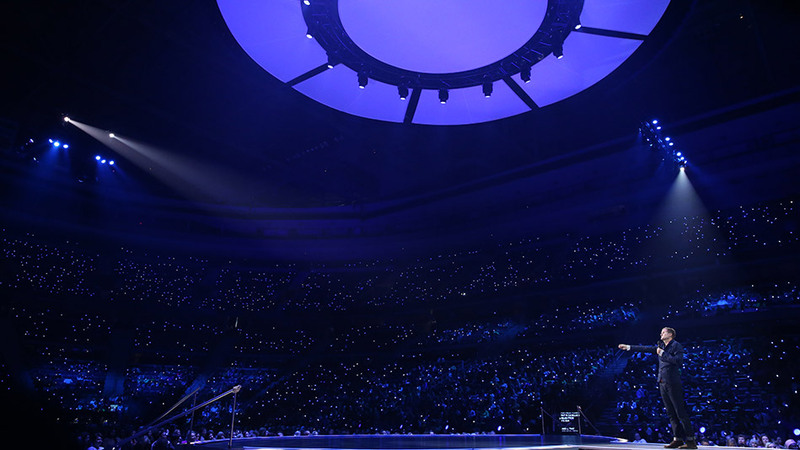 “To see her in person, with her presence and energy, cannot be replicated.” Little wonder the tour went on to earn an average of some $5 million per show during its initial run, and that plans for a second tour in Fall 2015 were already underway—with Caudill hired, once again, to serve as the tour’s Lead Video Engineer.